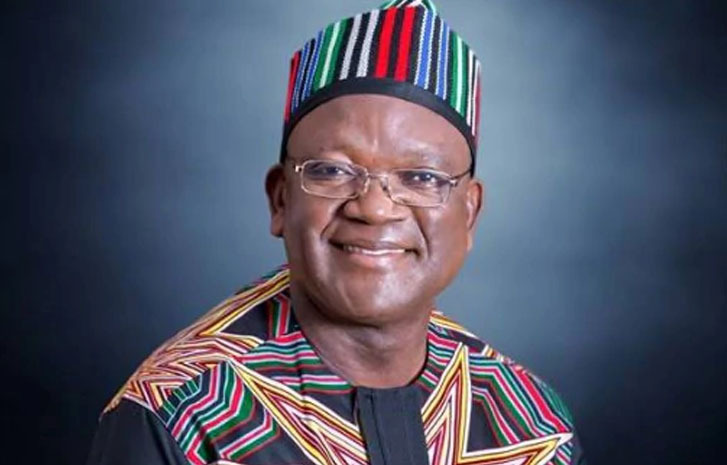 The Benue state Governor, Samuel Ortom has presented the sum of N196,502, 626, 436 billon as appropriation bill to the state House of Assembly for the 2019 fiscal year. Christened ‘Budget of Peace, Security and Prosperity in Benue’, the Governor disclosed that a total of N106 billion has been earmarked for recurrent expenditures, while N90 billion was for Capital expenditure. The Governor also proposed the sum of N52 billion for administrative, while N86 billion is budgeted for the economic sector even as N52.9 billion was budgeted for social sector. Represented by his Deputy, Engr. Benson Abounu, Governor Ortom stressed the need for Benue people to join hands together with the present administration come 2019 to tackle insecurity in the state. Responding, Speaker of the House, Titus Uba assured that members would give prompt attention to the budget estimate to ensure a speedy passage. In another development, the House has extended the suspension of the three local government council chairmen for another three months each following a request brought to the floor of the house by governor Ortom. The suspended chairmen include Dennis Akura (Vandeikya), Vitalis Akurar (Gwer), and James Akula (Ogbadibo) and his deputy, Eugenia Ameh. The Speaker read the letter sent to the House by the Secretary to the State Government, Prof. Anthony Ijohor (SAN) on the floor of house, asking the Assembly to extend the suspension of the council chairmen on the grounds that investigation into the allegations leveled against them were inconclusive yet. In his ruling, the speaker, Mr. Titus Uba upheld the suspension of the three council chairmen and a deputy chairman based on the reasons adduced by the governor.